Made in Switzerland. 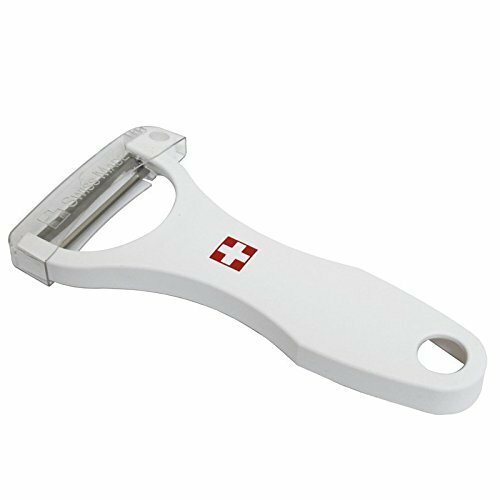 Swiss Cross on handle. Scalpel blade for hard fruits and vegetables such as apples and potatoes. It can also be used to shave hard cheeses and chocolate. Potatoes Maker French Fries Maker Potato slicers French Fries Cutter Machine & Microwave Container 2-in-1,No Deep-Fry To Make Healthy Fries.